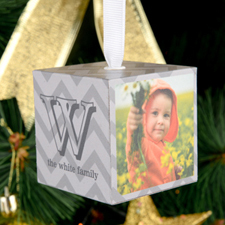 Material: crafted from 2"x2"x2" scratch-proof coating wooden cube. 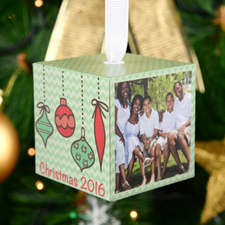 Wiped clean with a damp cloth. 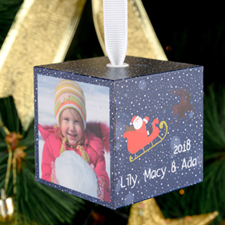 Customizable with image and text up to 5 panels. 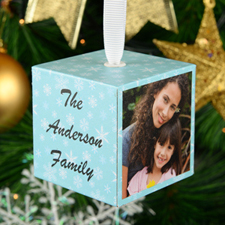 Ribbon is located on the top and centered ready for hanging. 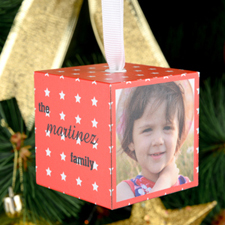 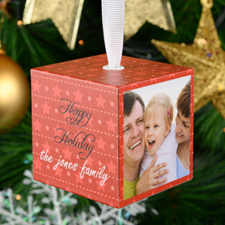 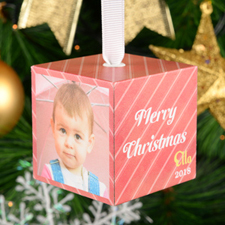 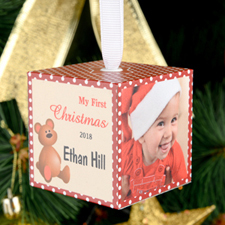 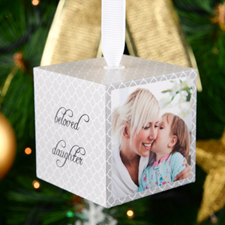 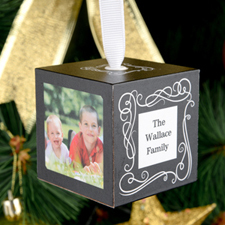 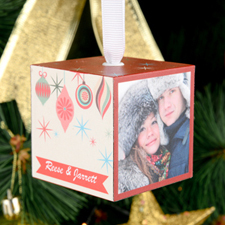 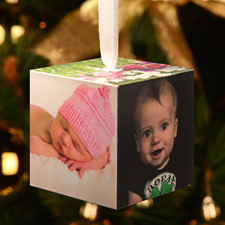 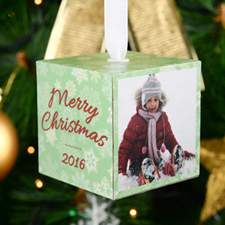 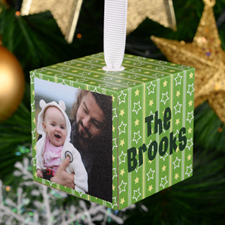 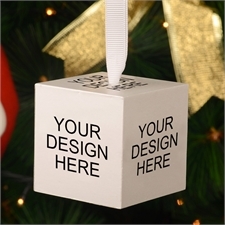 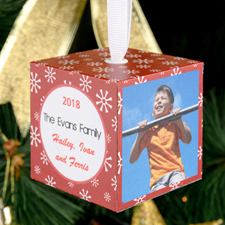 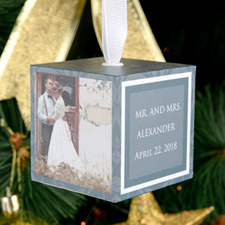 Make a personalized ornament for yourself or someone special with your favorite photos on an exclusive design.